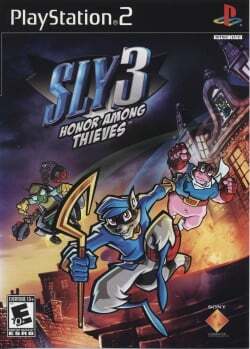 Game description: In Sly 3: Honor Among Thieves, you follow Sly Cooper and his partners in crime as they plunder locations around the world and fight adversaries, both old and new. Sly 3 is a cell-shaded platform game involving vehicles, gadgets, and an assortment of minigames. Joining your heists are a few new playable characters and enough new items to keep them fully equipped. Sly 3 also includes competitive and cooperative multiplayer modes. Runs near full speed. Slight graphics errors. Can't blow up pillar in Episode 5, "Dynamic Duo"
Description: During the mission "Dynamic Duo" in episode 5, you need to blow up a pillar with Bentley's bombs. The bombs do nothing, and it's impossible to progress. Workaround: Go to Config > Emulation Settings > VUs tab, and set Round Mode to "Nearest" and Clamping Mode to "Extra". This page was last edited on 10 February 2018, at 15:28.